I discovered Greece amidst riots in Athens and political turmoil in June 2011. I talked with Greeks that explained me that Greece has to refinance its debt and is to accept a new loan from EU. Greece received for decades a lot of money from EU, so today’s generation feel they will pay for their parent’s well being. The mood in the country is very low. Greeks can’t stand anymore the situation when they feel they are managed not by their weak Prime Minister Georges Papandreou, but by new makeshift measures coming from Bruxelles. There is a huge loss of trust in politicians. Greeks are united in current social movement regardless of their political views. People, who have never protested before, such as elderly people or mothers with babies, started to march in the streets. When you read newspapers today, you may believe that Greece is in fire and blood, and its economy is ruined. It is, actually, not true. Greek economy is still relying on solid tourism industry, agriculture and on the 1rst maritime fleet in the world. The aftermath of the crisis is very visible in Greece. In Athens only, more than 60, 000 stores closed since 2008. At every corner you see empty office buildings. Many people are left unemployed. Those who are, live with the fear of losing their job at any time. There is still a credit crunch, so it’s difficult to get investments for remaining companies. The so-called riots are protests of young people asking for more stability and rationality in their government politics. They sleep in tents on the Parliament square and play the guitar, pretty much like in a music festival. Their determination and their ability to use social media to spread their demands, however, is so strong, that they managed to get good media coverage and make the government vacillate. You have the feeling that youth has little hope for its future in the country. Lots of them loiter in the streets day and night. I saw several fights between them. They are many empty industrial zones with walls covered with graffiti. Life is quite expensive for young people. One liter of 95 Unleaded costs 2 EUR, a cup of coffee too, while the minimum monthly salary is 450 EUR. Pretty much like in Russia, people are vary of strangers, and certainly also bored by tourists. They are not the kind of people to smile easily. Communication is also complicated by the fact that most people don’t speak English, even in touristic places. However, we always felt understood. Greeks do true efforts to try to understand you. All people we met were helpful and we managed to get things done at the end. Greeks have a relationship with time typically Mediterranean. They discovered time relativity long before Einstein did. They never wear watches, and nowhere did we find a public clock with the right time, even in train station. Surprisingly, trains and buses run in time. “You can not see everything interesting in Greece during one trip, and we don’t suggest you try”. You can see further some pictures of stunning sites I managed to visit in the Peloponnesus and Athens. The first was Mycenae, an archaeological site with remains of major civilization existing 3,600 years ago. The site is a fortified city situated top-hill, and a big dome-shaped tomb. 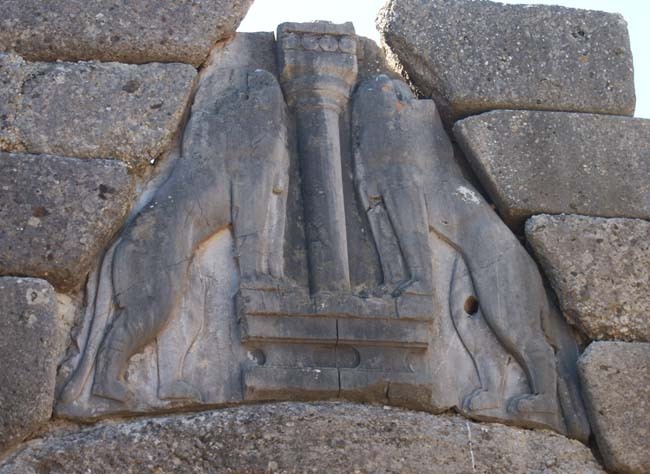 The most remarkable landmark of the place is the “Lion Gate”. 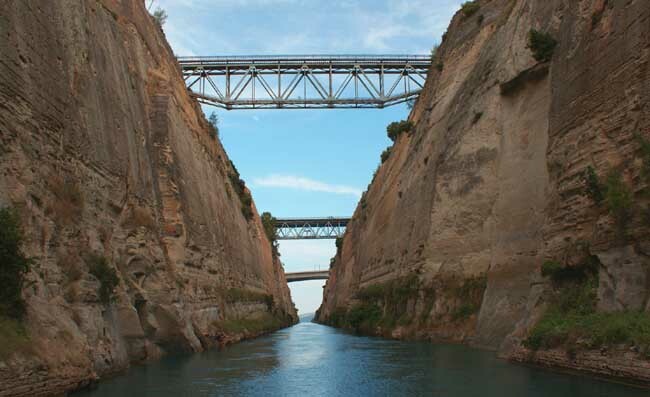 The Corinth canal is an impressive sight: A narrow fault with deep-blue water at the bottom. Since ancient time, Greeks managed to cut the 700-kilometre journey around the Peloponnesus through the narrow Isthmus by transporting ships and goods on a cobbled road between Ionic Sea and the Aegean Sea. According to the legend, Greeks refused to dig a real water canal for they feared Poseidon would be angry that they linked two seas without his permission. The modern canal was built between 1881 and 1893, first by Ferdinand de Lesseps, the architect of the Suez Canal, and then, it was finished by Hungarian Türr and Gerster, who were also involved in the Panama Canal. The Canal is 6.3 kilometer long. Its width of 24 meters makes it too narrow for modern cargo ships. 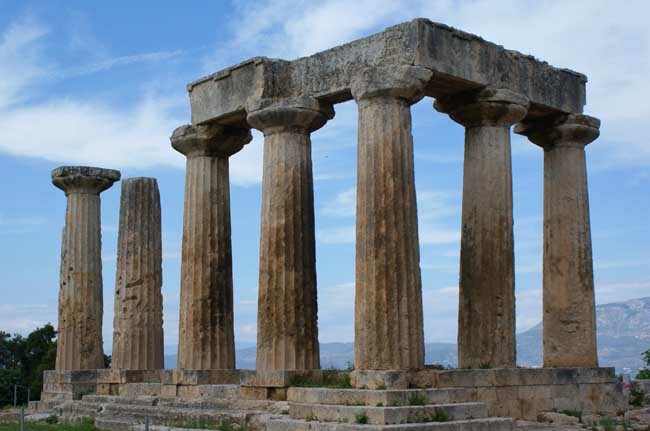 Greece is the country that gave us the democracy and the european civilasation. It happen those days to suffer from but politicians management[ from all parties]. Europe is supporting Greece and our wish is to change current situation. sebastian,s comments are correct and to the point.